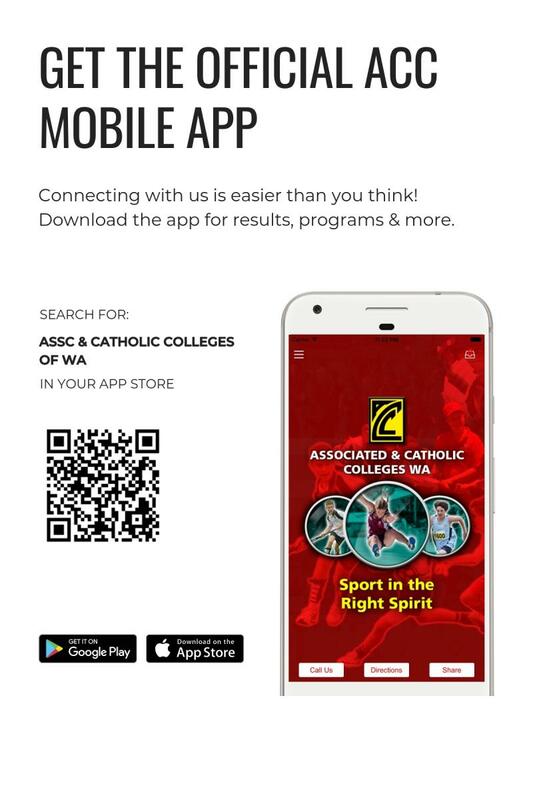 The free ACC Sport app is the official mobile application for news, results and event information from the Associated & Catholic Colleges of WA. This is the must have app to follow everything ACC Sport. Results from all events, fixtures, breaking news, important updates, calendar events, event photos, event programs, contact details and GPS carnival locations. Promotional Card click this link to down,load a full colour PDFcard that can be used to promote the app. How to get the App? The app is available in store as a free download for all mobile devices and OS; iPhone, iPad, Tablet, Android, HTML5. You can also download the app by scanning the QR code below for your device and to do this you will need to have a QR code scanner app such as Quick Scan or QRReader, both also free apps. · After the app is installed the device will ask if you wish to receive push notification messages from the ACC. · The app is very intuitive and easy to use for people familiar with iOS and Android devices such as iPad. To access the menu items on the app tap or select the menu bar at the top left of the home screen. This will display the full app menu and users can scroll down the menu to select the content they need. To return to the home screen just tap or select the back arrow at the top left of screen. · Results, Program Booklets for carnivals, Program of events for carnivals, Fixtures, Photo gallery (Instagram feed), Messages, News, Facebook, All Stars, Contact Us, Calendar, GPS carnival locations, How the app works, Event Maps & share our app. · If the app won’t download to your device you may not have enough available device memory and will need to delete items such as photos, videos, music to make more room to download and install the app to your device. · If the app has been installed but won’t open on your device, this generally means that the device operating software needs to be updated to the latest version. The app software platform is updated in line with updates to iOS and Android updates so you need to keep your device OS up to date. If a menu tab doesn't display you probably just need to refresh the app on the device by closing the app and then reopening. Some devices refresh by dragging your finger from top to bottom on screen but usually the best way to refresh to get the latest app features and content is to close the app and the re open it.